I’ve heard many people say how frustrating the world of government procurement can be, and I’ve seen it firsthand many times. In order to help you gain some clarity – and achieve some tranquility – allow me to introduce you to your Procurement Zen. 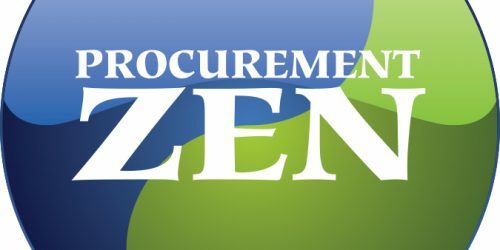 In this ongoing series of blog posts my goal is to help you find your Procurement Zen - for your health, sanity and success. Here’s the first one! Take a deep breath, and enjoy the read. Having worked with dozens of companies trying to sell to the government, I have seen quite a few sales styles. Some are brilliant and genuine, others come across as frustrated and aggressive. What I have found is that the all-powerful sales forecast usually plays some role in influencing behavior. So, how do you find your forecast zen? The art of the forecast depends on understanding how the government does business. Experienced public sector sales executives know that the procurement process is just one consideration to factor into your government sales pipeline. If you’re lucky, you are already on a contract and the effort becomes pure sales and marketing. Otherwise, you are likely stuck in the midst of the procurement process waiting for a solicitation to hit the streets. Setting aside the procurement process, it’s important to be mindful of the budget and buying cycles. All governments have a fiscal year and a process by which agencies submit budget requests and receive approval. Without the budget, your deal is not going anywhere. Once an agency receives its funds, it can spend them anytime during the fiscal year provided that there are no restrictions. Many times, agencies must spend it, or else they lose it at the end of the fiscal year. If you are a vendor, keep in mind that while you are selling, agency officials may be looking ahead to the next fiscal year and beyond. If you aren't part of the strategy, you may face added resistance. If you thought that was enough to monitor, sometimes agencies must receive specific approvals to move forward with a particular project. For example, if it is a state IT project, the agency may have to seek ITAC or JLBC approval. An education contract may require the State Board of Education to review the provisions. And, of course, there is receiving approval from agency leadership and being aware of the underlying accounting process to encumber the funds. Have you ever read the Arizona State Accounting Manual? If you don’t have a firm understanding of how your sale will be impacted by all of these events, then you shouldn’t put it in the pipeline. Once you can anticipate and plan for these delays, your forecast will fall into place. By taking a long-term view of a government relationship you not only set realistic expectations, but you also build trust, cooperation, and ultimately win sales. And in the meantime, you’ll find a little more peace throughout the process.